As I walk through home stores and craft stores, I get annoyed at all the burlap home decor pieces I see. 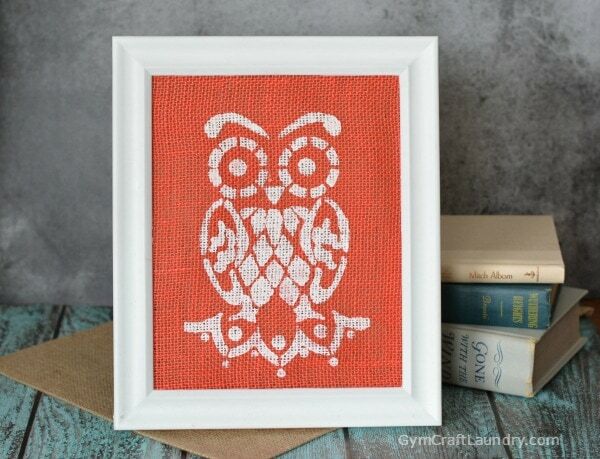 I am obsessed with in love with burlap wall art. It irks me that burlap is so trendy right now! 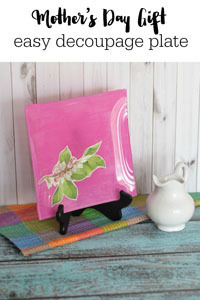 I am not exactly the trendiest person in the world but I love the farmhouse and rustic styles–and always have. If I cared more about what people thought then I would probably stop decorating with burlap so much. It’s a good thing that I don’t! 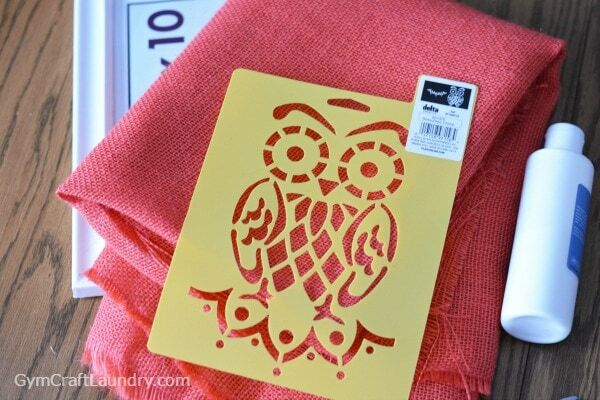 All the trendy burlap wall art in stores is an awesome reason to make my own. The projects take five minutes tops and are often ready for display in under an hour. 1-Trim your burlap to 8×10. 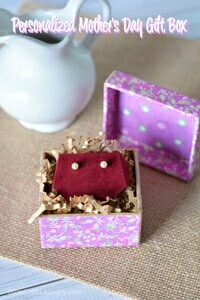 I place the paper frame insert on top of the burlap and trim around it, adding about an inch all around. A little bit bigger is okay since the burlap tends to fray. 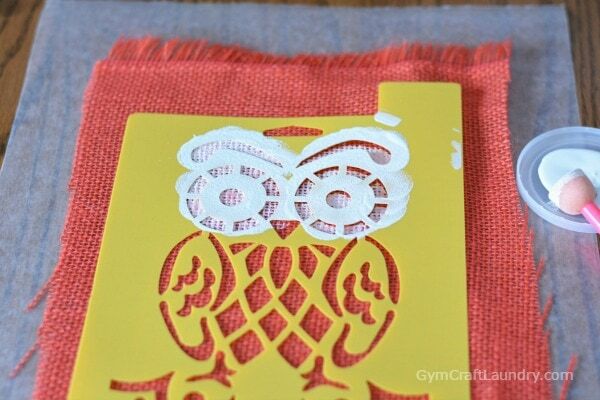 3-Using a foam applicator, slowly and gently, with not too much paint, paint the stencil. It is easy to build up more paint layers but you can’t “fix” too much paint at once. 4-Remove stencil and let dry completely before putting into a frame. The beauty of this project is that the paint dries very quickly on the burlap. It’s so cute! I am going to give this one to my daughter’s first grade teacher. She loves owls! 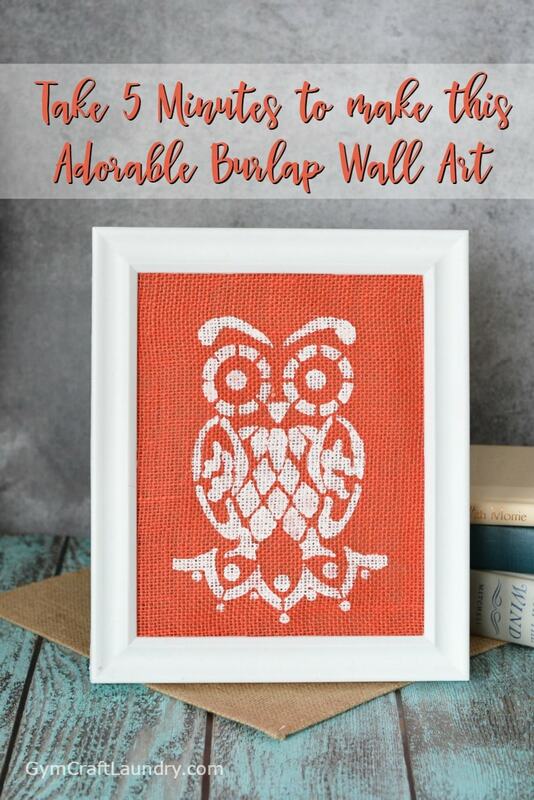 For more burlap wall art ideas click here.